The EU will send officials to Iran in early February to explore energy ties, energy commissioner Miguel Arias Canete said on Sunday (17 January), a day after the EU, the US, and the UN lifted economic sanctions on Iran. The lifting of trade and banking sanctions will allow EU countries to restart business with Iran and discussions will focus on possible cooperation on nuclear, oil, gas, renewable energy and energy efficiency, according to Canete quoted by Reuters news agency. Sanctions were lifted after the International Atomic Energy Agency (IAEA) said on Saturday that Iran is implementing the accord signed last summer about allowing full inspections of its nuclear facilities, and halting processes that could produce weapons-grade nuclear material. 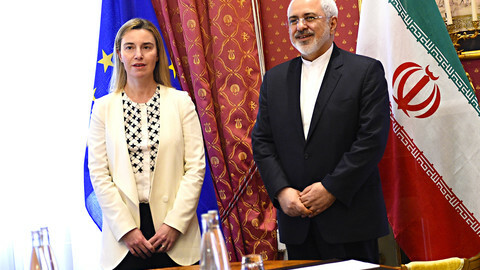 "Iran has fulfilled its commitments," EU diplomacy chief Federica Mogherini said in a joint statement with Iran's foreign minister Javad Zarif. "This is an encouraging and strong message that the international community must keep in mind in our efforts to make the world a safer place," they said. 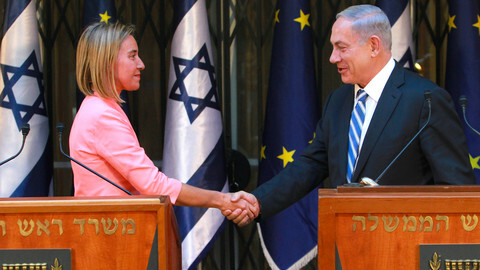 In a separate message, Mogherini said "Implementation Day" was "a good day for Europe and the international community" and that the new development was "good for the safety and security of the region, also the safety and security of Europe". Mogeherini also stressed that the EU was "open for cooperation, common work and also investment and business". 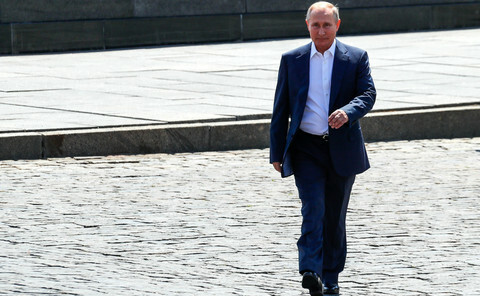 For the EU, one of the main goals will be to develop the "Southern Gas Corridor" to ship gas from Iran to the pipeline through Turkey and Southern Europe, as an alternative to Russian gas. EU member states will also scramble to get contracts in the opening market, with oil being the main prize. 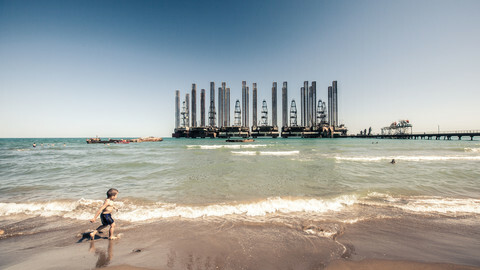 France's Total and Anglo-Dutch Shell sent executive to Tehran as soon as Saturday to talk with their local counterparts. 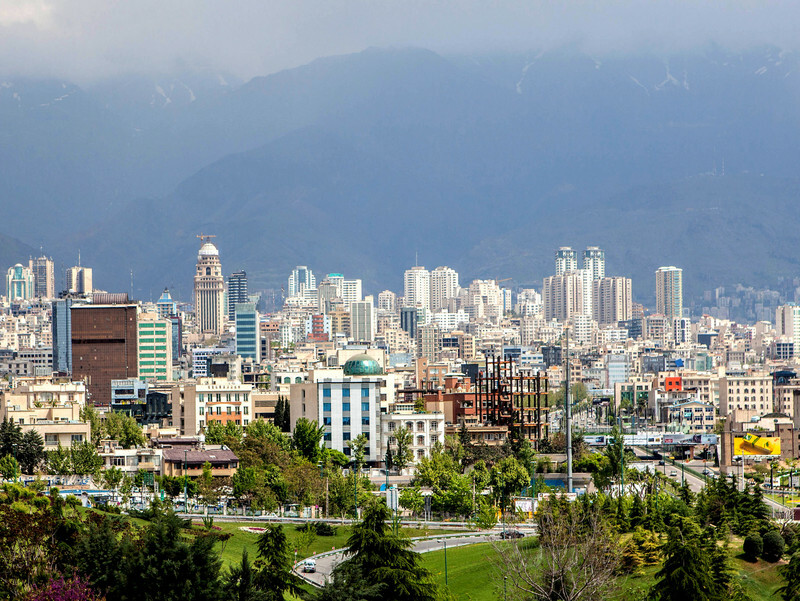 Italy's ENI is also on the ranks to close deals for investments in Iran. "Iran would need to attract $150 billion for development" in the next four or five year, ENI's chief Claudio Descalzi said on Italian television on Sunday. 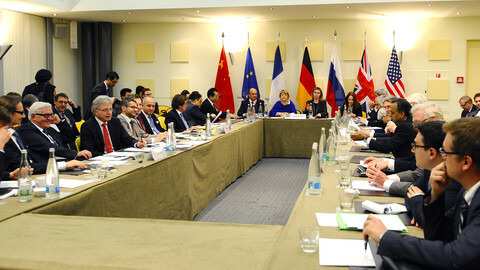 Germany, the EU's main economy and world export leader, will also want to take its share of the Iranian market. The lifting of sanctions is "the chance to open a new chapter in German-Iranian economic relations", vice-chancellor Sigmar Gabriel said on Sunday. Gabriel, who already travelled to Tehran in the autumn, will host an economic conference with Iran's economy minister Ali Tayyebnia in May. 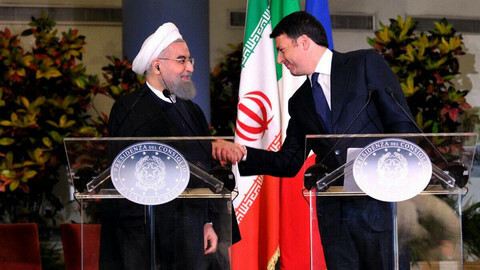 At the end of January, Iranian president Hassan Rouhani will visit France and Italy. His visit will include a trip to Toulouse, home of European aircraft company Airbus. "There will be deals to sign," an EU diplomat in Tehran told French daily Le Figaro. The US and the EU are slowly dismantling Iran sanctions in return for its implementation of the nuclear accord. EU and US leaders say nuclear deal paves way for broad co-operation with Islamic Republic, widening their differences with Israel. Hassan Rouhani arrives in France after a visit to Italy. He is expected to buy more than 100 Airbus planes in a series of multi-billion-euro deals. The Southern Gas Corridor, one of the biggest pipelines ever conceived, presents severe risks and locks in a fossil fuel model instead of promoting a de-carbonised future, NGOs say. 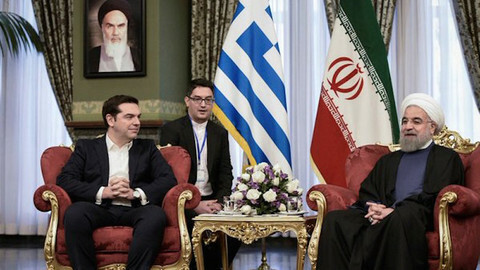 Alexis Tsipras was the first EU leader to go to Tehran since the embargo was lifted. He said Iran had a role to play in "stabilising the region". High-level EU trip designed to reassure international banks on doing business with Islamic Republic. 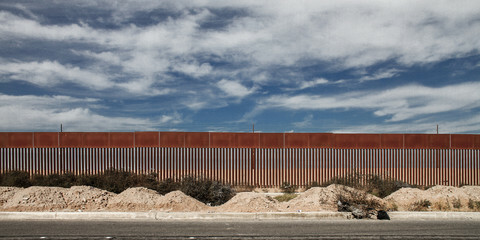 Officials said won’t have time to meet human rights activists.